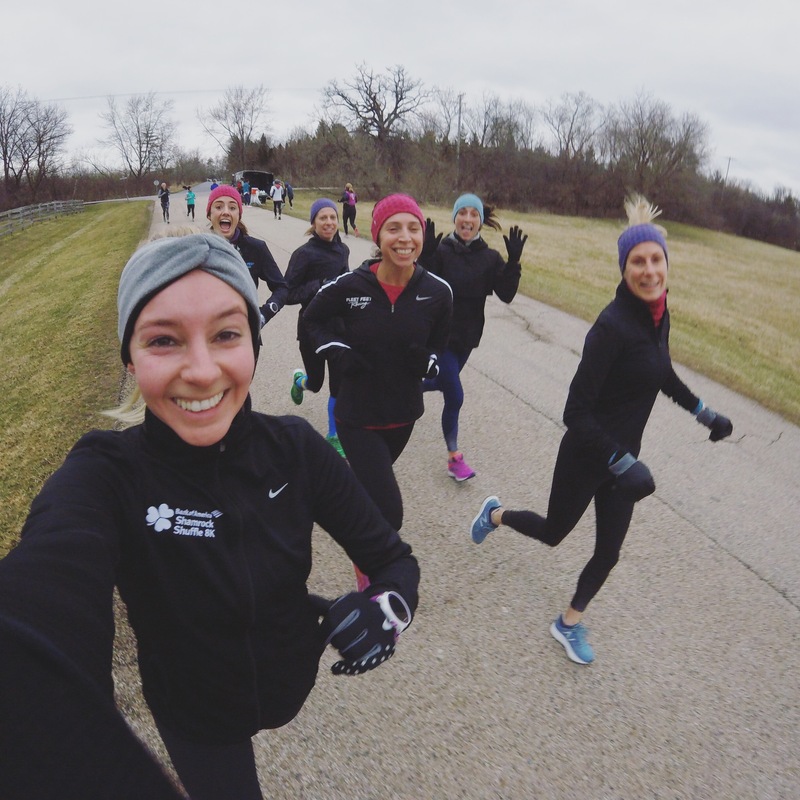 It’s no secret that training through a Chicago winter is tough. But if I’m being honest, winter is my favorite season to train in. I just think you have to be prepared. 1. Have people to meet. I am way more likely to get up early on a cold Saturday morning if I’m going to meet friends. It’s so easy to cancel on yourself. You can just roll over, hit snooze, and say you’ll run later. In the summer I always want to go early to beat the heat, but that isn’t an issue in the winter. So, having a group or a few friends to meet is way more motivating. If ice is bad on Saturday, run on Sunday. If you know a snowstorm will hit at the weekend, maybe run longer during the week. Weather is unpredictable during Chicago winters, but I try my best to plan my schedule so I can run safely and outdoors. I am not a treadmill person, so I’ll do whatever it takes to be outside. Most of the time, this requires me to be flexible. 3. Have the right gear. I’ll expand more on this later, but having warm gear makes a huge difference for winter running. I swear by a wool base layer, fleece tights, wool socks, and proper shoes. You’ll want to keep your feet as comfortable as possible. When my feet are cold, my whole body is cold. I’ve been running in the new Mizuno WAVEKNIT R2s recently and can attest that they fit wool socks nicely and do a good job of keeping my feet warm. Since they’re so light to start, they don’t feel as weighed down by snow or rain. 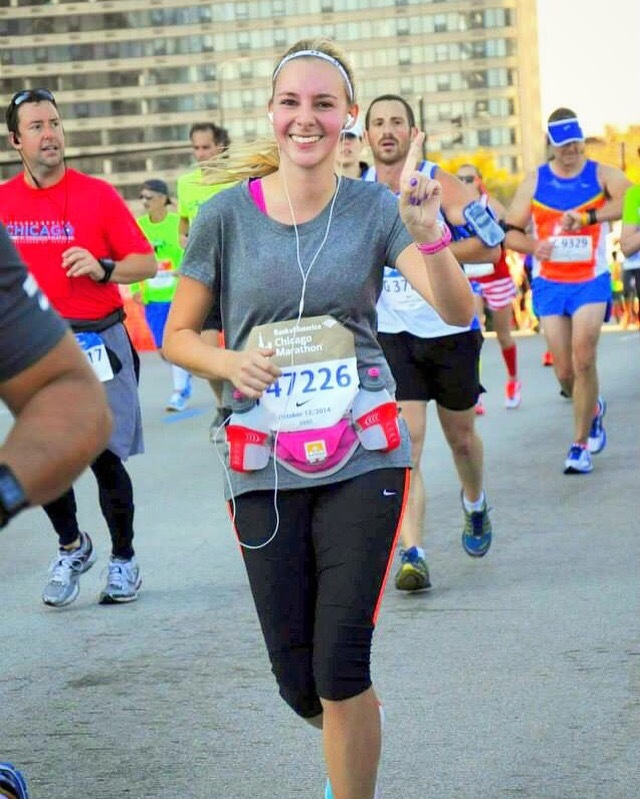 Finding the right shoes is crucial for being a happy runner anytime of year. 4. Make your goals prominent. I try to put motivation on my refrigerator so I see it every day. I write out my time goals, my goal race and put something up from the race itself. It motivates me to get outside when I see that in the morning before I go face the cold. 5. Sign up for a couple fun races. I think a warm weather destination race is a great escape from winter. I usually go somewhere for a fun race in February for my birthday and I look forward to it through all my December/January training. I think I’m more motivated when I have a fun race in the future. Try it! You remember that phrase “what you don’t know, won’t hurt you” ? I was getting ready for bed tonight and this popped into my head. I don’t agree with it. I think what you don’t know can hurt you. And that’s coming from someone who struggles with anxiety. I can’t fall asleep most nights because I’m thinking of the 19184719 things that could happen the next day. Things I worry about, things that probably won’t happen. But it’s crazy to me how fast your situation can change – for better or worse. I think there is a fine line between oversharing and sharing enough of the human side of yourself on Instagram. I try not to overshare. But I also think there’s something to be said for sharing real things that other people might be going through as a way to find authentic connection through a platform. I’m not going to get into all the details of my personal health problems right now. The truth is, I still don’t have any answers yet. And I don’t really want to talk about the “what.” I want to talk about the “why.” Why fearing the unknown can feel as bad as having bad answers. Why not knowing what’s wrong can eat at me all day long, even when it shouldn’t. I try to put things into perspective each day. I personally know so many people facing tough challenges. Life beats people up, good people who don’t deserve it. I feel other people’s feelings and I forever wish there was a button I could hit to take pain away from people I love. But there isn’t. And the more I think about it the more I think not knowing what the future holds is one of the scariest things. I get the whole “just try not to worry about the future” idea. Relax. Be here. It sounds easy enough. But really, who can do that? I know I’m a worrier, but is there seriously anyone out there that never worries or has a negative thought or fear about the future? It’s hard for me to not think the worst. When I feel chest pain, I think heart problem. And then my anxiety makes it worse. I know this. But not having a concrete answer makes me crazy. It’s not that I would want a whole life timeline, or to know exactly what would happen to me every day, but sometimes I wish answers were more clear. This is rambl-y and doesn’t really have a point. Word vomit from a phone screen when I was too worked up to drift off to sleep. But sometimes I think words & feelings are worth sharing. Basically, I think my point is, not knowing what’s next or not knowing what’s wrong can be exhausting. And if you’re just hanging in there, that’s okay. I have to hang on to the idea that everything will be okay. For me, for you, for anyone who needs to hear it. Hang in there. I made the goal to say “yes” more this year. Yes to new experiences. Yes to adventure. Yes to getting out of my comfort zone. I am the most comfortable when I’m running. I’m active in a lot of ways, but running is definitely my thing. Who says I can’t find some new favorites? Rock climbing intimidates me because I’m not a natural, but I always have the most fun when I try new things. Camp BKB with CLIF this past Friday gave me the chance to explore and “climb a different way.” It’s not always about the direct path. Sometimes it seems to be the easy route, but do you really get the most out of taking the easy route? I don’t. Life is definitely not linear which is why I don’t approach things that way. 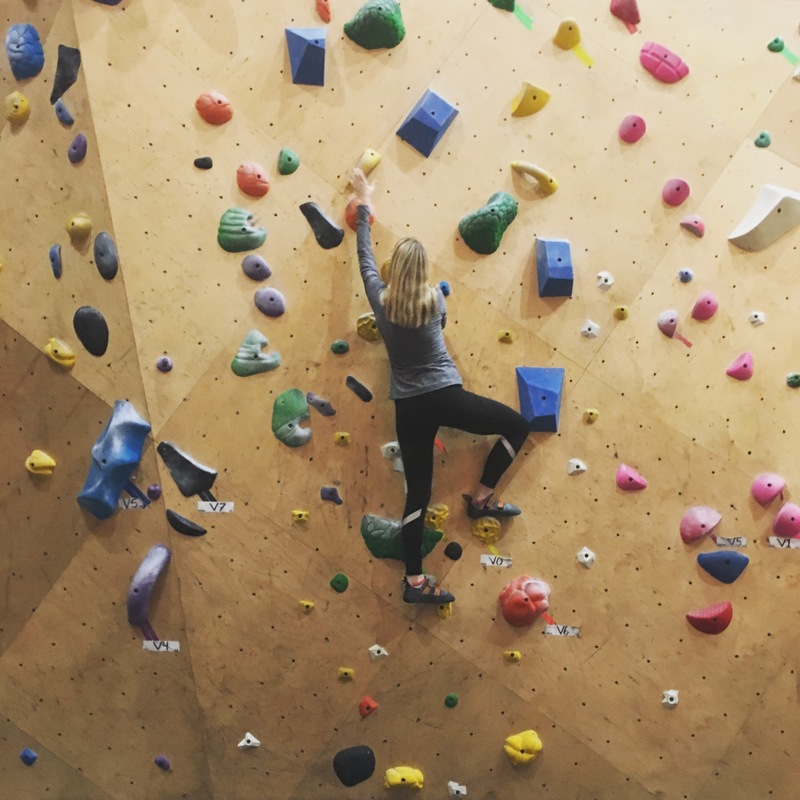 Climbing is fun because it’s challenging and you always have the option to go your own way. The goal is the same: reach the top. But no one tells you exactly how to get there. It was so much fun for me to spend a Friday night surrounded by people who want to challenge themselves, but still have fun. Fun is key. I still need more practice to get really comfortable with climbing, but I know I get a little better each time. The timing of this event was perfect (nicely done CLIF) because it was Earth Day on April 22nd and we talked a lot about sustainability. My favorite part of the night was the storytelling from adventurers who truly appreciate the outdoors and the planet we live on. I am so grateful for trail running and beautiful forests. I would be devastated if I lost the opportunities to go explore nature. Our planet is the only one we have and we need to take care of it. A major takeaway for me from one of the stories was the phrase “We all live here.” There are many different ways to take it, but I like the idea of it talking about our planet. We all find happiness here, go on adventures here, find new interests here. We should all work together to take care of our home. One way we can take care of our planet is to support companies or brands with sustainability values. 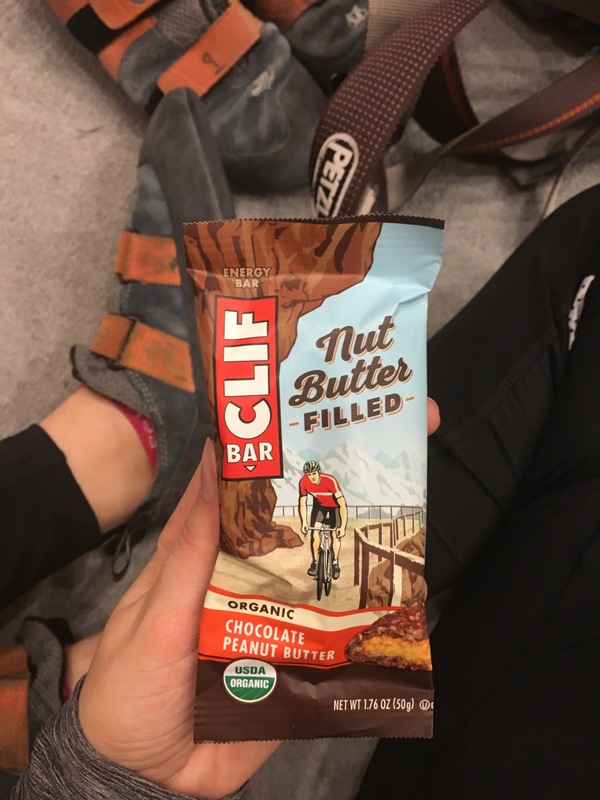 CLIF is a favorite brand of mine because of what they stand for (and their great products of course). 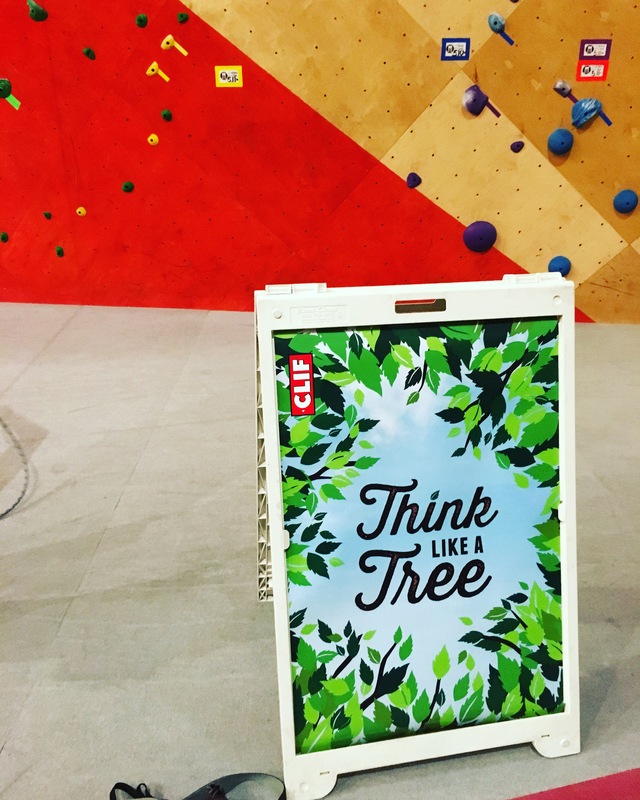 They want everyone to “Think like a tree.” Their approach to sustainability can be summed up in those four words. From field to final product everything is eco-friendly – you can’t beat that! CLIF is working to “Sustain Our Planet” and we can help. Little actions add up to big ones. How can you help sustain our planet? It’s okay to start small. Recycle your wrappers. Walk or bike to work instead of driving. Start a garden. Anything you can do to show our planet some love! 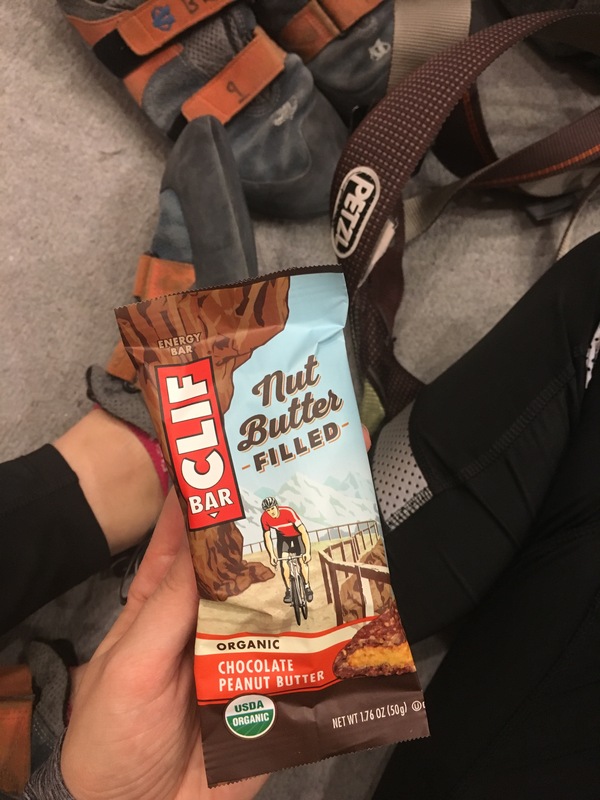 Thankful to have CLIF helping to keep our planet sustainable and for feeding my adventures.